The future King Edward VII married Princess Alexandra of Denmark in 1863. Prince Harry’s uncle Prince Edward, Earl of Wessex, married Sophie Rhys-Jones – now the Countess of Wessex – there in 1999. The Prince of Wales celebrated his marriage to the Duchess of Cornwall there in 2005 with a service of dedication and prayer led by then-Archbishop of Canterbury Rowan Williams. Peter Phillips, son of Princess Anne and Captain Mark Phillips, married Autumn Kelly in the chapel in 2008. Princess Eugenie and Jack Brooksbank are to wed there in late 2018. Tucked away in Windsor Castle with a capacity of 800 guests, it is more low-key venue than central London alternatives Westminster Abbey (capacity 2,000), where the Duke and Duchess of Cambridge got married, or St Paul’s Cathedral (capacity 3,500), the choice of Harry’s parents Prince Charles and Diana. While its original building dates back to the 13th century, the chapel as seen today began with King Edward IV in 1483. Many members of the Royal family are interred here, including Henry VI, Jane Seymour, Charles I, George III, George VI, Princess Margaret and Elizabeth Bowes-Lyon the Queen Mother. 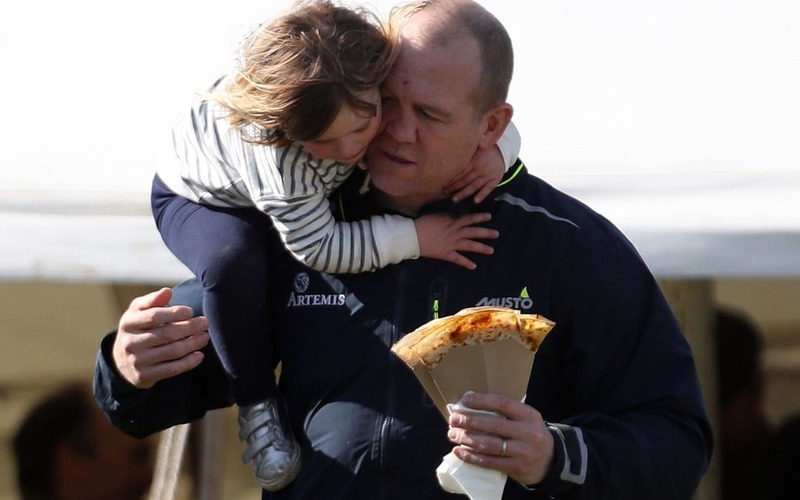 The Royal family are keeping up-to-date with wedding plans and the Duchess of Cambridge’s pregnancy via WhatsApp, Mike Tindall has revealed. Mr Tindall, 39, and his wife Zara, 36, are expecting a second child in a year which will see the birth of Prince William and the Duchess’s third child and two royal weddings. Prince Harry, 33, and Meghan Markle, 36 are to marry on May 19 at St George’s Chapel in Windsor Castle, the same venue that Princess Eugenie, 26, and fiance Jack Brooksbank, 29, will use in the autumn. The Queen welcomed the news that she is to become a great-grandmother for a seventh time following confirmation of Mrs Tindall’s pregnancy earlier this month, just over a year after a spokesman announced the miscarriage of a child due in 2017. Mr Tindall revealed that members of the Royal family used the messaging service WhatsApp to stay up-to-date with events in an interview with the Daily Mirror. He said: “Me, my brother and then a few of Zara’s side like her brother Pete and the cousins are on WhatsApp groups. “I wouldn’t say we’re cutting edge, but it’s just easier for some reason on WhatsApp. I’m in about 25,000 groups. “You might do it for a get-together and just stay on the group, and occasionally people will post. You’re scared to leave because you don’t want to be seen to be rude.” Earlier this month WhatsApp played down fears that a hidden member could exist in its group messages, after security researchers revealed a backdoor in the service that could allow someone to plant moles into group conversations. Mr and Mrs Tindall, who live in Gloucestershire, have been together for 16 years and are already parents to four-year-old Mia. Mrs Tindall, an Olympic medal winner and former world eventing champion, is to step back from her riding career until the baby has arrived, although she is to continue with her other commitments. She was photographed in Australia with her husband in December, where she spent Christmas on a working holiday rather than at Sandringham with senior members of the Royal family.